Over the weekend a reader named Jason Parrott wrote to ask about one of my favorite designs, Ted Fontaine's Friendship 40. I met Ted onboard his sales model at the dock of the Newport Bucket last summer and had the pleasure of poking around his beautiful craft...and got the inside scoop. 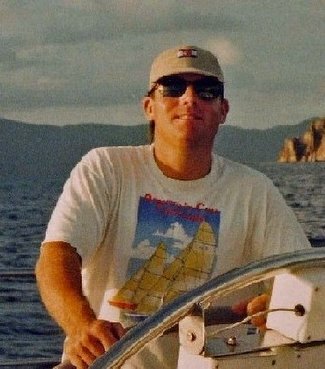 Apparently Ted (who worked for for Ted Hood at Little Harbor for 22 years) sought to make the Friendship 40 the "picnic boat" of sailing yachts...a reference to the hugely sucessful Hinckley designed and manufactured motor craft of the same name. He brought the design to Hinckley and they passed. He ended up taking the boat to a New Zealand outfit and, despite the cost of entry, it has been a huge success. Jason, the answer to your question, "Is the Friendship 40, as a daysailer, ill-equipped for long voyages?" is "yes." The reason lies in Ted Fontaine's strategy...he designed the vessel for 45- to 60-year-olds as a way to keep them interested in sailing and cruising rather than scaling back to, well, a Hinckley Picnic Boat. It would be the perfect sailing craft for a week or so of cruising Down East Maine with a close friend. Not the ideal choice for an offshore voyage to Bermuda. The spoon bow, elevated counter, heart shaped transom and springy sheerline give the design a vintage look...but it doesn't get high marks for "practicality." Here's a good editorial in Sailing Magazine on the trend toward these types of boats. I read the reply to the question is the Friendship 40 "ill equipped" for long voyages? I must dissagree with the authors reply. I guess the real question is "ill equiped" The 40 is based on many of my designs when with Hood. Boalt like the Little Harbor 38, 40, 42, 43, Bristol 38, 35, 41 etc. The friendship 40 is a 24,000 lbs displ sailing yacht capable of venturing anywhere one is interested in sailing. Of course if the owner was interested in sailing the boat offshore say from New Zealand to the US then the boat would need larger fuel and water tanks, a water maker and the removable life lines. Aside from some added "equipment" the Friendship 40 is of the same basic sea going hull form as the yachts previously mentioned. Some of which, LH 38, 42, Bristol 35 and 38 have completed near circumnavigations. I persaonnly have been 65 miles offshore on the boat in a 40 kt blow for over 30 hours and felt completely safe, sound and secure. The displacement give the boat a certain sense of substance when the weather gets severe. Friendship 40-001 Manaaki is now in Florida, having sailed on it's own bottom from Newport RI. I plan on taking here to the Aboco's in April. So while I disagree that the Friendship 40 is "ill equipted" for long distance sailing, I do agree that one would need to upgrade to large tankage, add the life lines and perhaps a water maker and the Friendship 40 is arguably a much more comfortablwe offshore passage maker than most light displacement sailing yachts available on the market today. I would be happy to discuss this any any other questions related to the design.